It’s been almost a year since Apple released the iPad and we’re less than a week away from the unveiling of the iPad 2, and still there’s no competition. There are a few very good reasons for Apple’s success and why its competitors are finding it difficult to gain any traction against the king of digital devices. There’s the infrastructure, the combination of hardware and software, and the fact that its competitors are content to settle for second best. Apple didn’t invent the tablet, but it did popularize the concept and how it fits into our lifestyle. Clearly the evidence of this is that every tablet announced or released since the iPad looks just like it. The fact that every company making a tablet is trying to compete with what Apple offers means that they aren’t looking to make something better than the iPad. They are just trying to catch up. Apple has done everything it can to make sure they are No. 1 in the tablet market, but the competition is ensuring they will stay there. Nobody is willing to make a bet on where the market is going to be, so they go to where the market is and, right now, Apple controls the puck. Until someone decides to step outside of Apple’s shadow, they will never be better than No. 2. That’s where the fight is right now. Since the tablets are all very similar, how do companies set themselves apart? It’s not the operating system. No matter how good Google makes Honeycomb, the fact is, almost every company out there will be using it. On the other hand, Apple controls the operating system and hardware. If Apple makes advances in iOS, they are Apple’s to share with their customers and nobody else. There are two companies that stand out in the tablet market that make their own hardware and operating systems: HP and RIM. The problem is that they haven’t done anything. RIM announced its PlayBook last September; they announced the PlayBook 4G in January; and they announced the PlayBook 4G LTE, HSPA+ and Mobile WiMAX models in February. So far, not one has hit the market. I think RIM needs to settle down and ship something. HP has an interesting offering with WebOS. From everyone I’ve spoken with, WebOS has the biggest potential to be a hit among consumers. However, HP wasn’t exactly forthcoming with detailed information during its TouchPad event, so it’s hard to know where the product will land once pricing information is available. Motorola has the Xoom, but so far the reviews haven’t been the best. Honestly, I’m not sure consumers will flock to Motorola anymore, certainly not like they did in the days of the RAZR. Even if Apple’s competitors were able to get past the hardware and operating system issues, there is still one component that can’t be overcome—the infrastructure. Apple didn’t create the iPad in a year or two. They have been working on it for almost a decade. Around the same time they started working on the iPad, they released iTunes, which created a music and video foundation that continues to dominate today. With iTunes and the ability for users to purchase music, movies, TV shows, and educational content, Apple is giving its users a one-stop shop. Buy, download, sync, and take everything with you. If you add the App Store to that equation, Apple has the bases covered. There doesn’t seem to be a piece of the puzzle that’s missing. Over the next six months, iPad competitors will be coming, and there will be a lot of them. 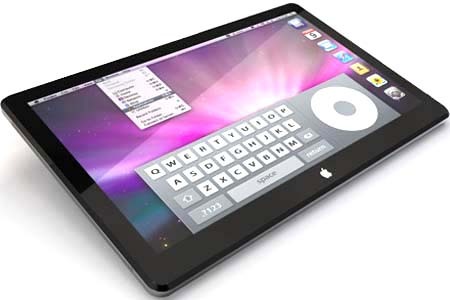 Unfortunately for them, as they release some worthy competitors to the iPad 1, Apple will be releasing the iPad 2 and then moving on to the iPad 3. Apple’s R&D is already years ahead. It’s hard to imagine that they will be brought down anytime soon.